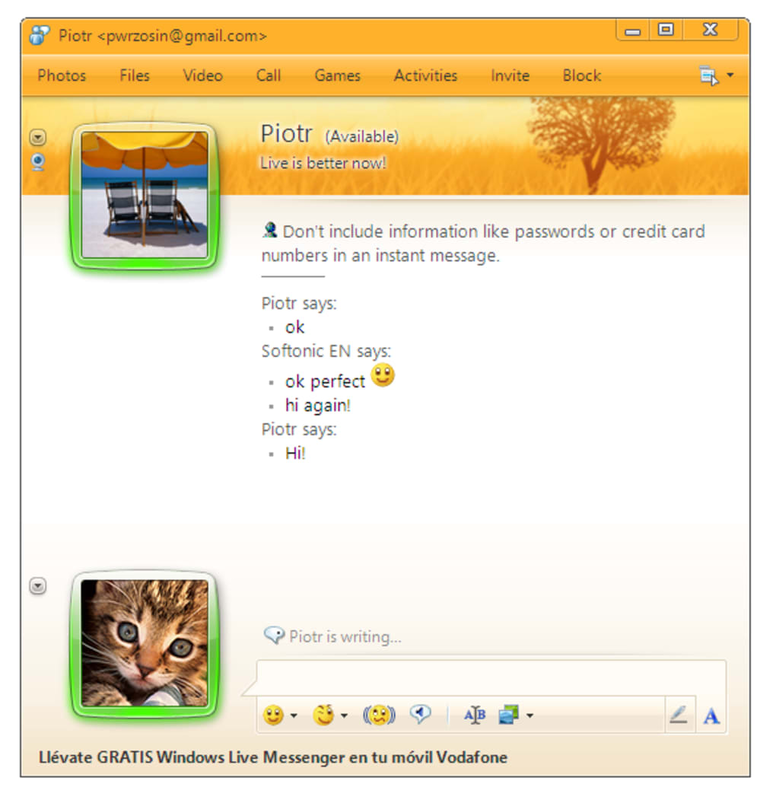 Windows Live Messenger previously known as MSN Messenger, was renamed as part of Microsoft's move away from Hotmail, towards the Live online community. Now the most popular IM app in the world has finally reached version 2009. 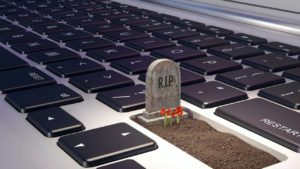 Windows Live Messenger will be discontinued on April 8. 2013. 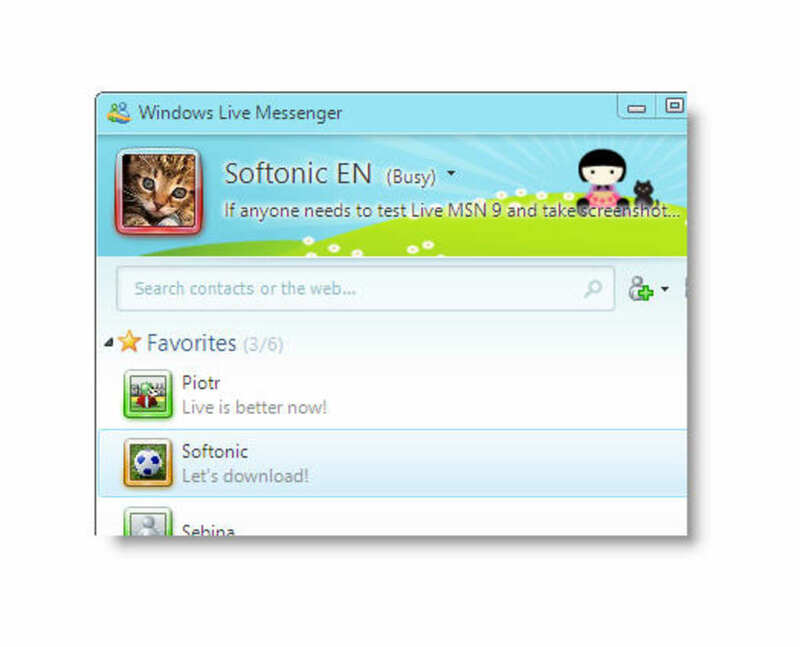 Users will have to use Skype with imported contacts to continue messaging Windows Live Messenger contacts. 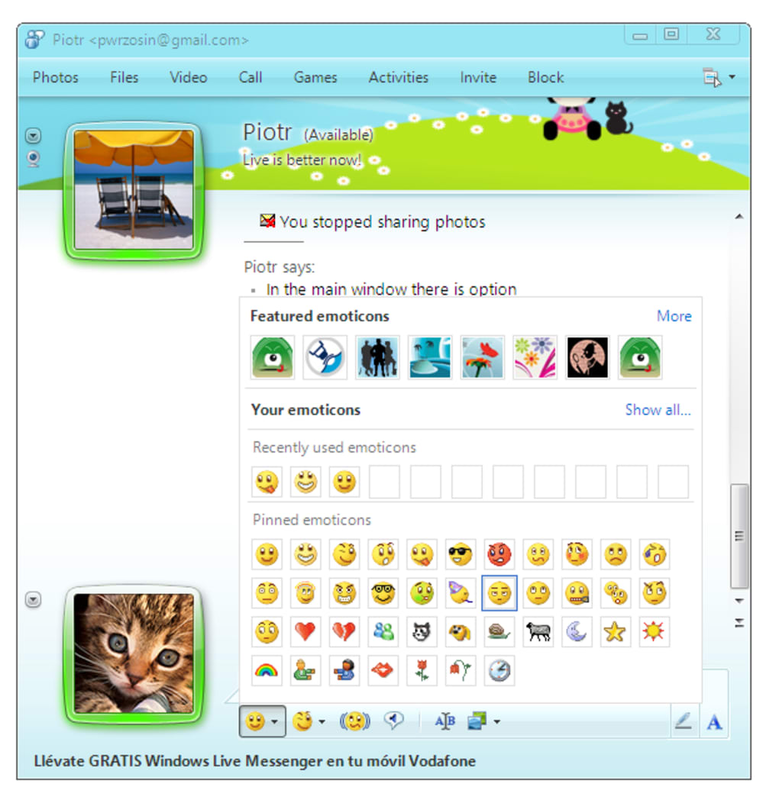 Windows Live Messenger offers plenty of emoticons and winks to cheer up your conversations. You can expand both collections easily by adding new sets which you'll find by the hundred on the Internet. 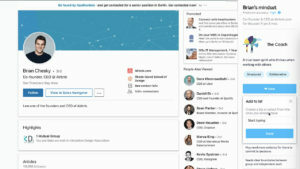 Customization possibilities include changing the chat window background or even adding a personal message to your nickname, but not creating custom status messages. Also, Windows Live Messenger status messages have now been reduced to "online", "away" or "busy" – so no more "on the phone" or "out to lunch", for example. 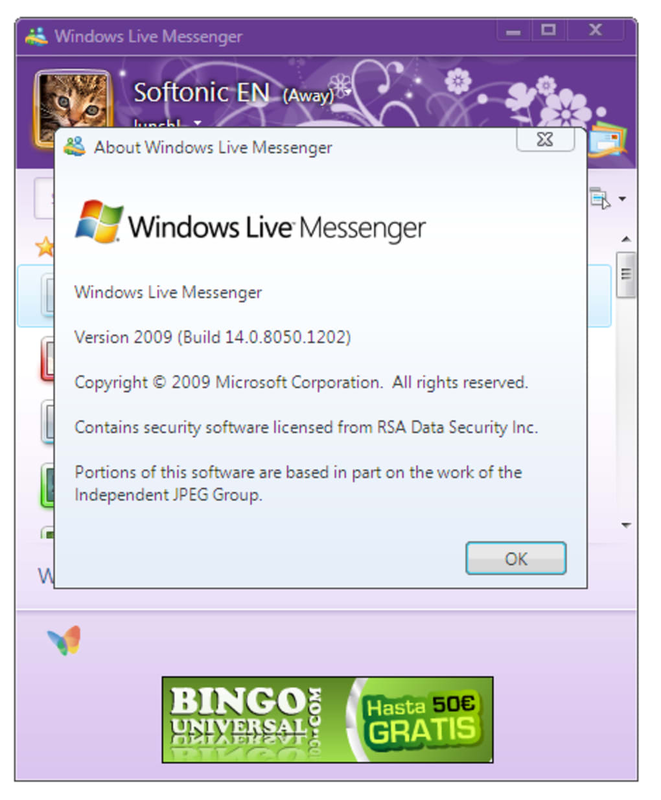 Chat conversations are not the only thing you can do with Windows Live Messenger. There is also the possibility of having video chats using your webcam, and also make VoIP calls. 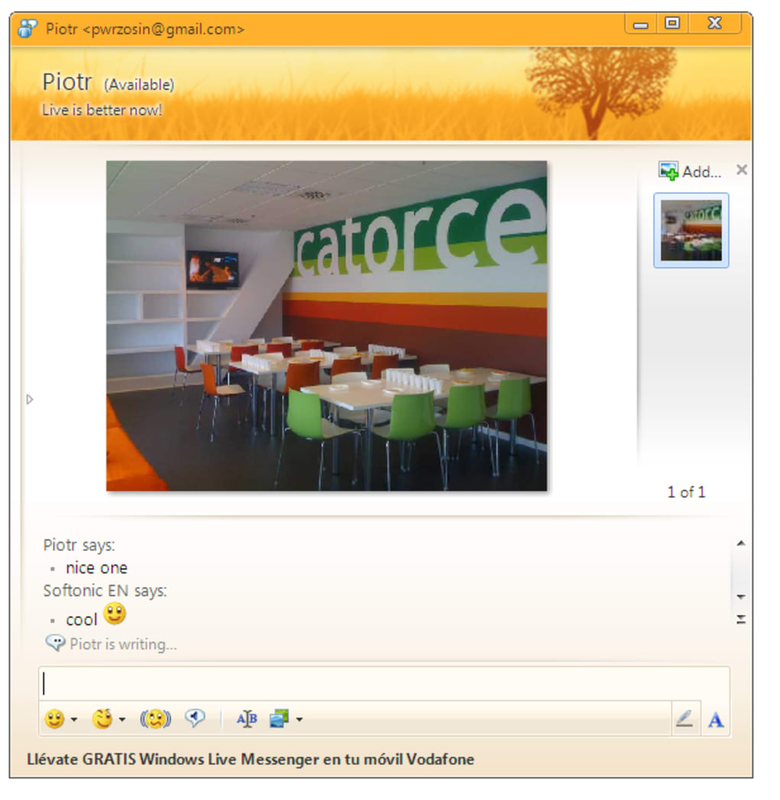 Another great feature in Windows Live Messenger is the possibility to view and share pictures within the chat window, without having to send files over to your contact. 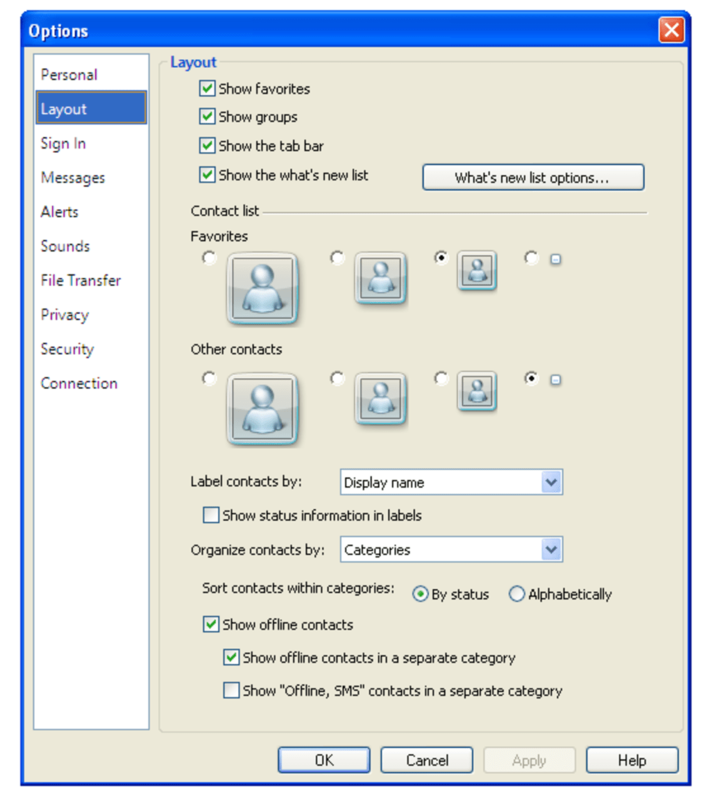 Regarding contact lists, the new Windows Live Messenger lets you create specific groups of users, different from the ones previously known as "groups" and which have now been renamed to Categories. These groups allow you to have multiple simultaneous chats with several contacts. 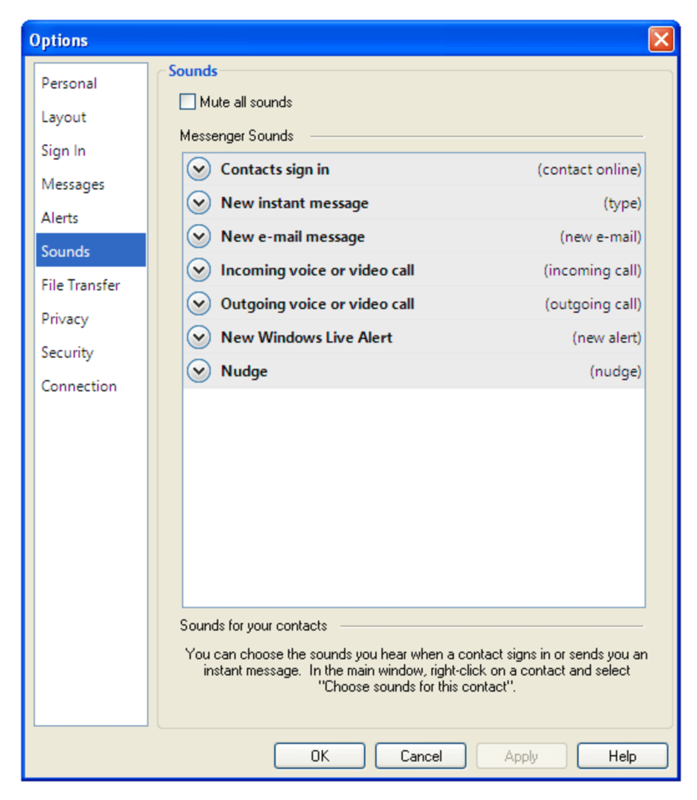 Another new feature in the contact management system in Windows Live Messenger is Favorites, a special category that enables you to have the people you talk to most always to hand. 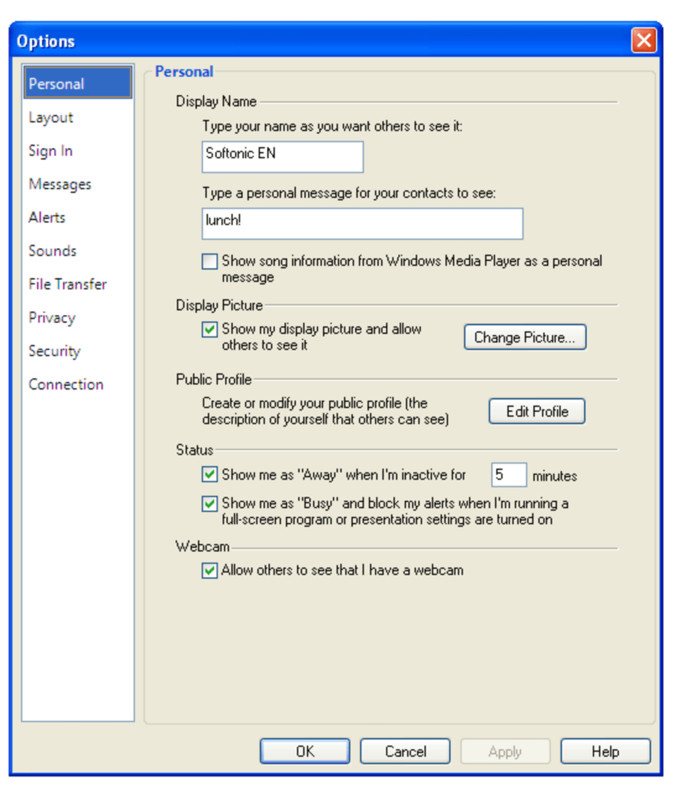 Windows Live Messenger 2009 includes many interesting new features, all conveniently built into a nice interface. I'm not sure that this handful of new functions is the reason why the program weighs in at almost 70 MB. The most striking feature in the new Windows Live Messenger is an all-new interface with a colorful design, far from the traditional Windows application structure. 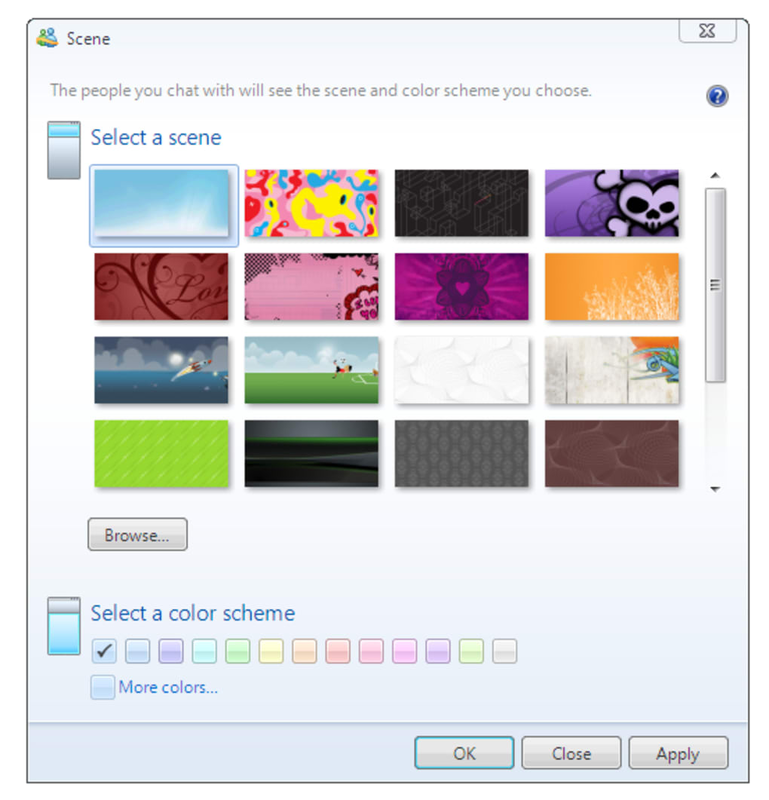 You can customize it by choosing your own theme and color scheme. 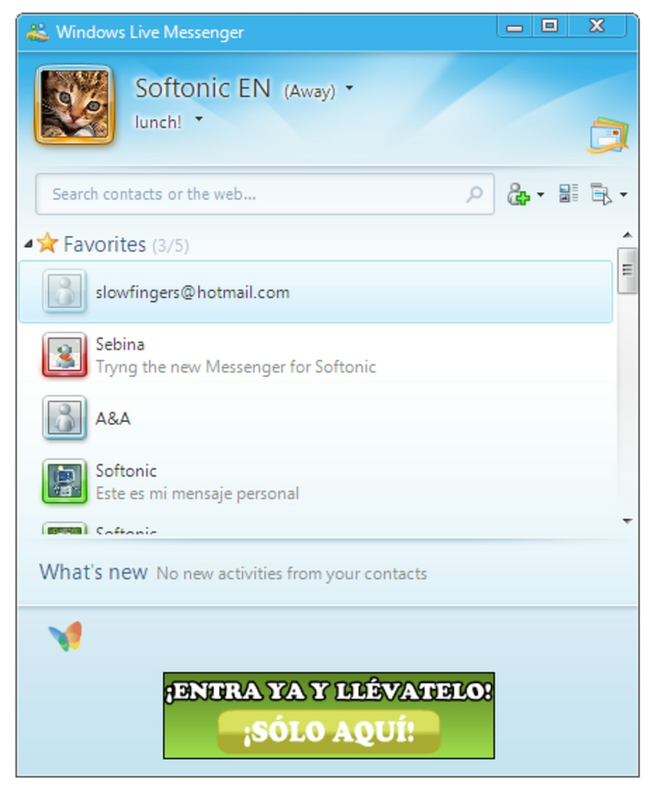 In order to maintain the neatness of this design, the menu bar in Windows Live Messenger has been hidden under a few buttons on the top-right corner – though you can temporarily make the standard menu bar visible by pressing the Alt key. While I understand the reason why they did this, it makes menu options a bit uncomfortable to browse. 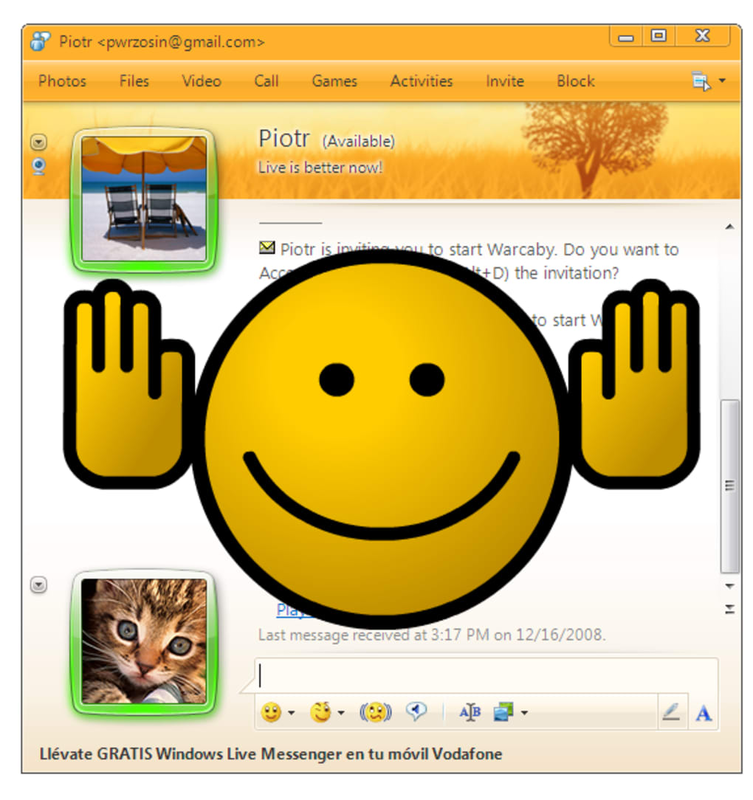 Windows Live Messenger reaches version 2009 with a renewed interface, loads of new features and a bit of extra weight. the best method .. in my opinion the best method of communication among all the international community in relations between nations . i am not able to down load windows live messenger as before in my device. i am not able to down load windows live messenger as before in my device. to see my old issue to follow up my email. BAM!. 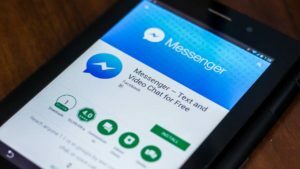 It's an Instant Messenger, that makes Facebook look like it was made by a 2 year old. I absolutely love MSN. End of story. Pros: Vidcall. windows live messenger is the best thing since sliced bread!. 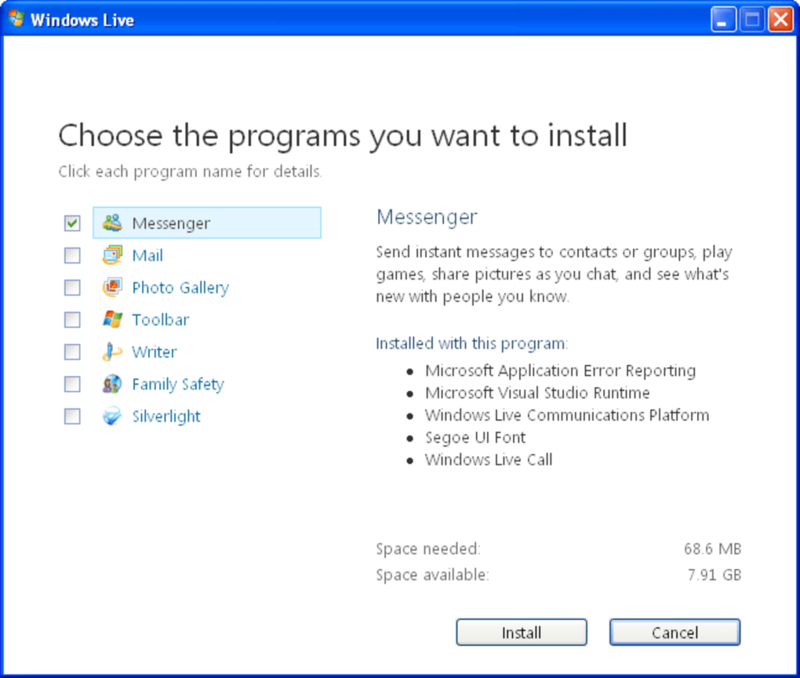 have always loved windows live messenger and am extremely upset to see it merging with skype. 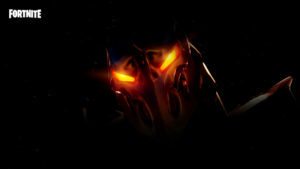 the display picture is is better on rhe rigt side of conversation window.